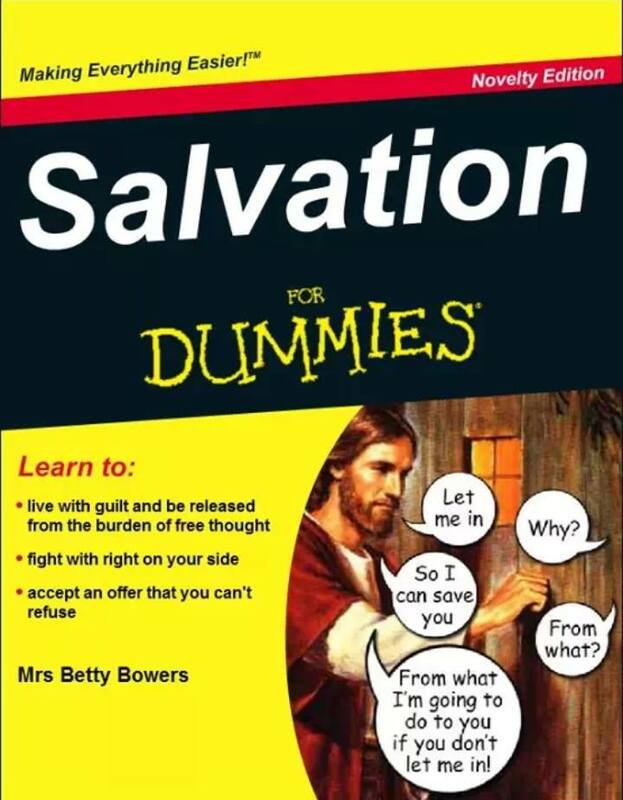 Funny Salvation For Dummies Religious Picture - Let me in. why? so I can save you. From what? From what I'm going to do if you don't let me in! 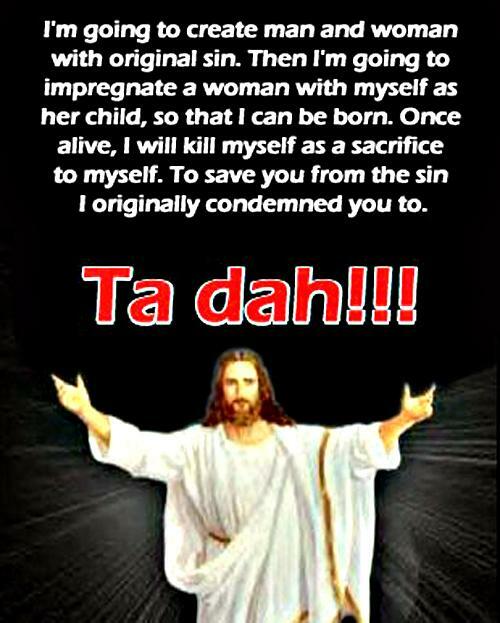 Funny Jesus Salvation Ta dah!!! picture - I'm going to create man and woman with original sin. Then I'm going to impregnate a woman with myself as her child, so that I can be born. Once alive, I will kill myself as a sacrifice to myself. 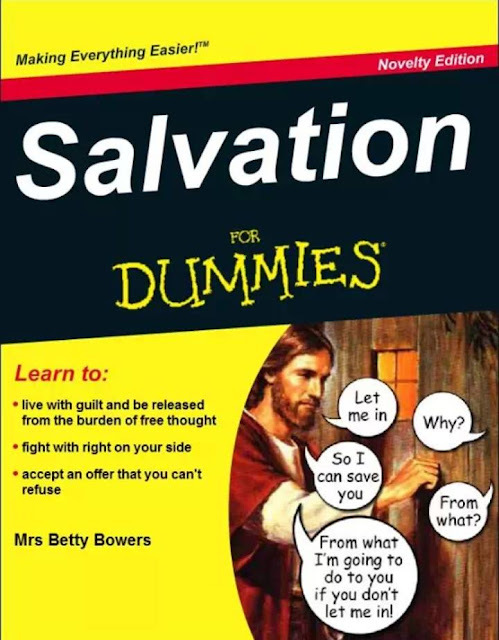 To save you from the sin I originally condemned you to. Ta dah!! !